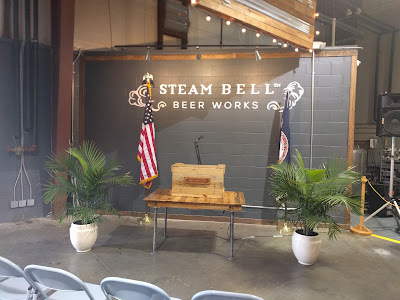 Virginia Beer Blog: Bill Signing at Steam Bell Beer Works! Bill Signing at Steam Bell Beer Works! 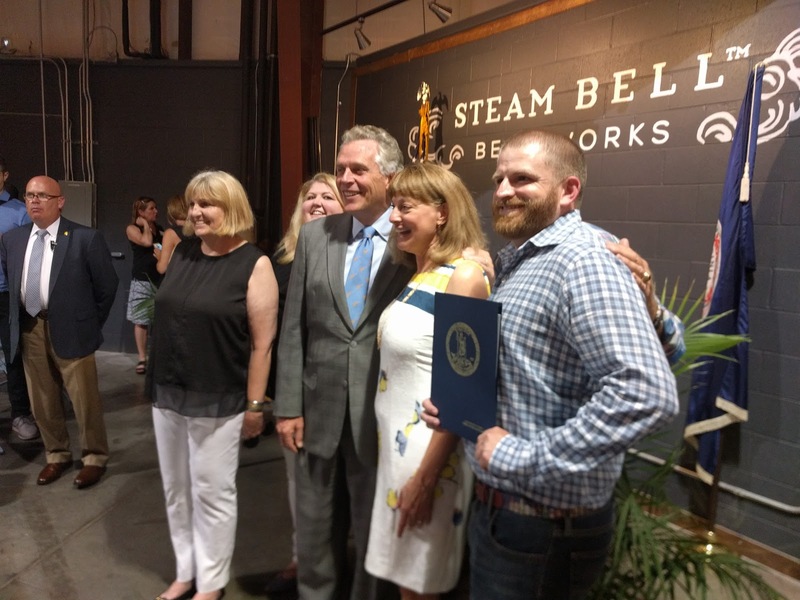 Friday afternoon, we were invited to Steam Bell Beer Works in Chesterfield, to witness Governor McAuliffe signing into law HB2418. The bill will allow craft breweries in Virginia 8 banquet licenses (up from 4) to host larger scale events. This is a great improvement that opens some exciting possibilities when you consider the rapid expansion of craft beer in the Commonwealth. 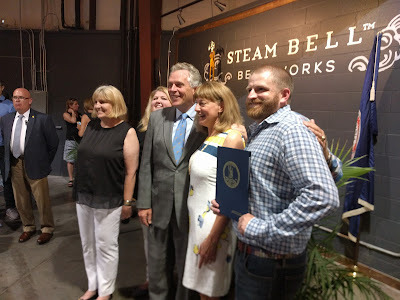 right to left: Secretary of Agriculture Basil Gooden, Governor Terry McAuliffe, Brad Cooper (Owner of Steam Bell Beer Works), Delegate Roxann Robinson, and Secretary of Public Safety Brian Moran. It was great to see such a bipartisan effort working to get the bill passed in both houses, and the overall festive atmosphere of support from many major local craft brewers meeting for the signing. If you haven't had a chance to check out Steam Bell Beer Works, you're really missing out. The Cooper family are planning an expansion of the existing brewery, as well as opening a spin off, Cannon & Draw Brewing, that will open later this year in the Fan District of Richmond.